Founding member of the Demosistō political party talked to World Forum for Democracy youth delegates about the importance of social movements and direct action. In a world stuck between neoliberal crisis and authoritarianism, a reinvigorated municipalist movement is proving a powerful tool to build emancipatory alternatives from the ground up. 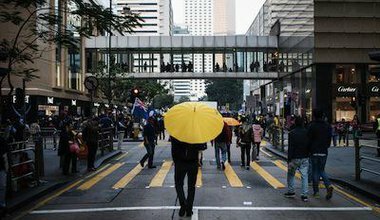 China’s latest interpretation of Hong Kong’s ‘basic law’ reaffirms an important tenet of Beijing’s position: any elective office in Hong Kong is subject to ultimate approval by the central government. 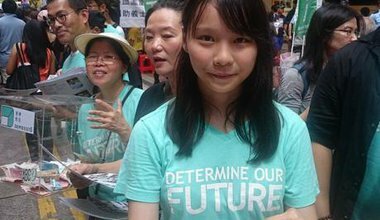 One of the original founders of Hong Kong’s 2014 democracy protests thinks that increasing dis-identification with Chineseness, on both the level of culture and politics, is pushing the city-state towards uncharted territory. 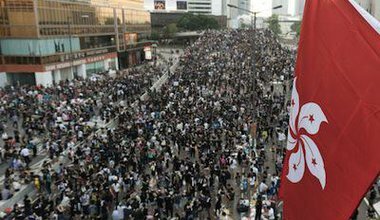 Recent elections have injected new demands for self-determination and ideas of localism into the heart of Hong Kong’s law-making body. 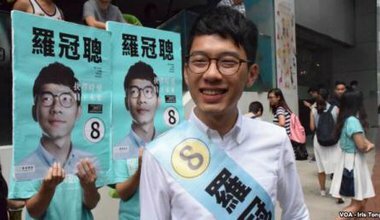 The student protest leader has been the centre of western media attention, but he’s not without his critics within Hong Kong’s Occupy movement. 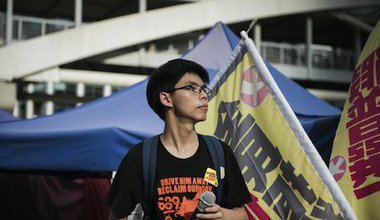 Joshua Wong tells us why his struggle for democracy isn’t over yet. 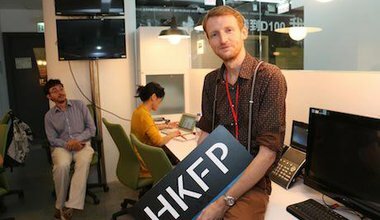 Launched in the wake of the city’s Occupy protests, Hong Kong Free Press aims to “shine a light in dark places”. 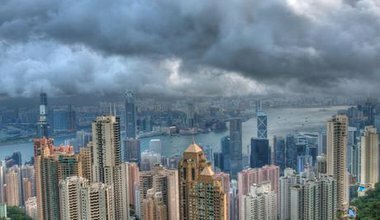 23,946 warrantless metadata requests raise privacy concerns for Hong Kong’s online activists. The loss of online privacy is not a price we want to pay. 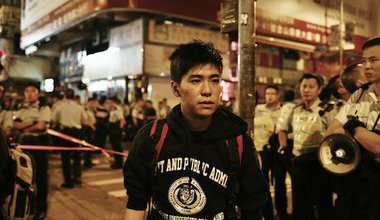 Months before Hong Kong’s Occupy unleashed popular frustration onto the streets, a refugee movement adopted occupation tactics to protest the social marginalization of asylum seekers. The protest camps have been cleared. 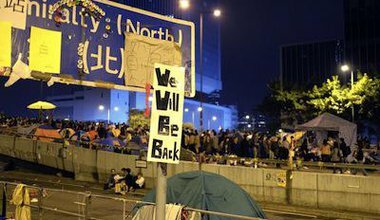 But Hong Kong’s Occupy movement has laid bare the struggle for space that rages across the city. 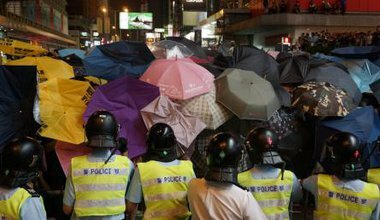 The death knell for Hong Kong’s Umbrella Revolution was sounded even as the movement entered December. The final days saw Beijing play its hand well, through the careful application of minimal force and strategic patience. 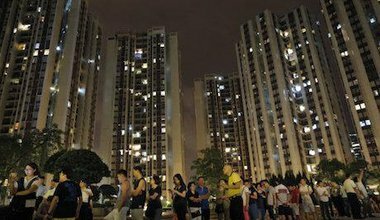 Physical space and ‘Occupy’ tactics: a new trend in civil resistance? Does the term ‘occupation’ delegitimize movements by casting participants as short-term guests, instead of representatives communicating grievances held by a wider society within a public forum that is theirs? 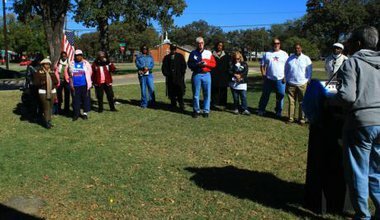 On November 4, long lines of unarmed Texas voters can salute American democracy’s counterparts and admirers abroad simply by showing up in huge numbers at the polls. The movement could benefit from encouraging splits within the seemingly unified voice of the elite, bound to have its internal conflicts.  Then there are new challenges and new nonviolent opportunities, planned and unplanned. 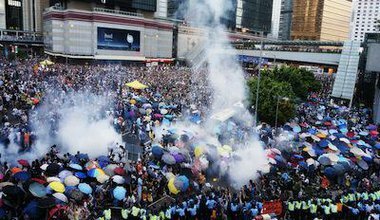 Hong Kong Democracy Now is a voluntary working group translating videos and articles to support international media coverage of Hong Kong’s civil disobedience movement. They are maintaining an updated list of verified sources detailing police brutality. 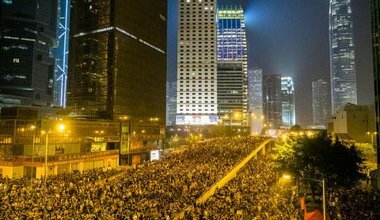 The voice of the labour movement has been ignored in the international media coverage of Hong Kong’s Occupy protest. Trade unions have taken to the street not only in the name of universal suffrage, but for the sake of social justice. 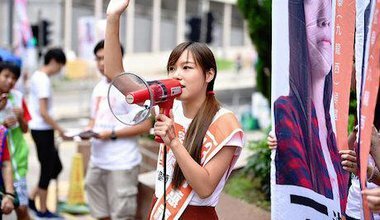 Two professors in Hong Kong interview fellow academics, student activists and graduate students from mainland China in order to draw out Hong Kong’s history in relation to globalising forms of political expression. 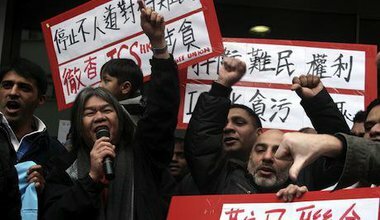 Colonial history, neoliberal urban governance, and Chinese authoritarianism all bear on the current unrest. 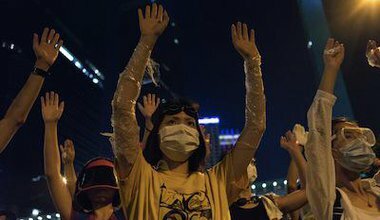 Could mainland China not seek eventual convergence towards a democratic system, respectful of the full gamut of human rights? That actually is what the happenings in Hong Kong now are about. 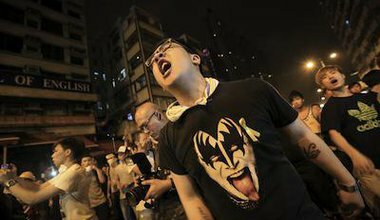 Western media outlets have described Hong Kong’s accelerated wave of unrest as predominantly led by students. It has a much wider base than that. 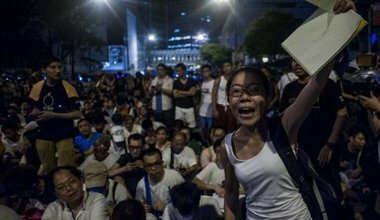 Months of steady canvassing and campaigning on the streets, and a promotion of emotive symbolism over violence, have garnered enormous sympathy for the Occupy movement.